The Creekside Cake Co is based in the heart of beautiful Faversham in Kent. 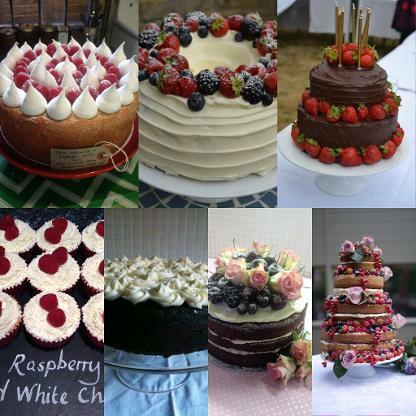 We have been baking pretty and delicious cakes, cupcakes and wedding cakes since 2010. Only delicious stuff goes into our cakes, freerange eggs, proper butter, organic chocolate and never any premade cake mix and we love using fresh fruit and flowers. Flavours are real, so are the colours. Our new website is currently under construction. In the meantime, if you would like to contact us please call 07884 435972 or email us. Jane and Alex's beautiful naked wedding cake for their marriage at Dulwich College, London. 4 tiers of vanilla sponge, layered with raspberry preserve and vanilla mascarpone cream, finished with seasonal berries and flowers to match the bride's bouquet.